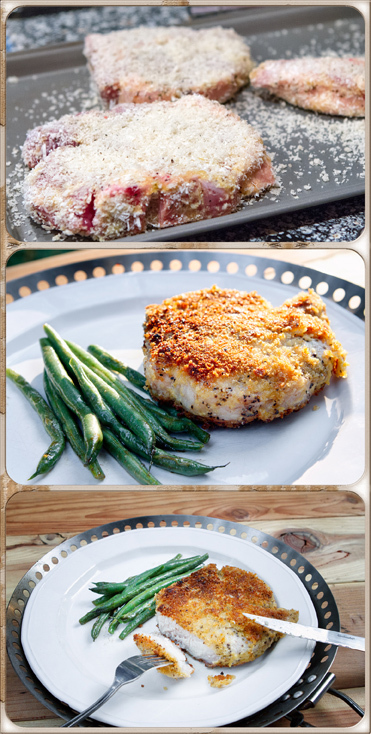 Pork Chops Two Ways: Smoked Grilled or Parmesan Encrusted…but never dry. – We Call Him Yes!Chef! 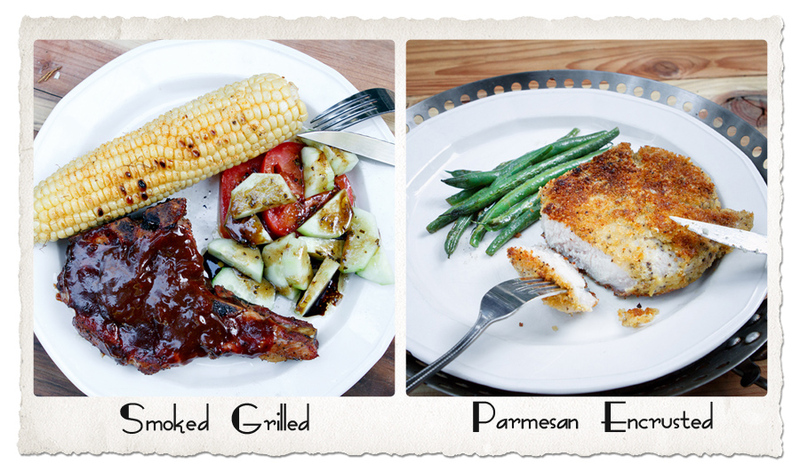 Pork Chops Two Ways: Smoked Grilled or Parmesan Encrusted…but never dry. Yes!Chef! loves pork. No, that’s not strong enough. HE REALLY LOVES PORK. Yes!Chef! brought home some beautiful pork chops that he had found either at Costco or Safeway…I’m not sure which. At least he thought they were beautiful. I thought they looked dry and they weren’t even cooked. He was so proud. I’m afraid my feeble smile did not instill confidence in him. COOKING TIP: If you are going to try this, you really need a meat thermometer. This will greatly improve your chances that the pork won’t become overcooked and DRY! Please, do not serve dry pork chops to your family or anyone else, for that matter. You will scar them for life. Writer’s Note and encouragement: Although the following recipe may look complicated and it is long, don’t give up. The recipe following this one is simple and tasty. 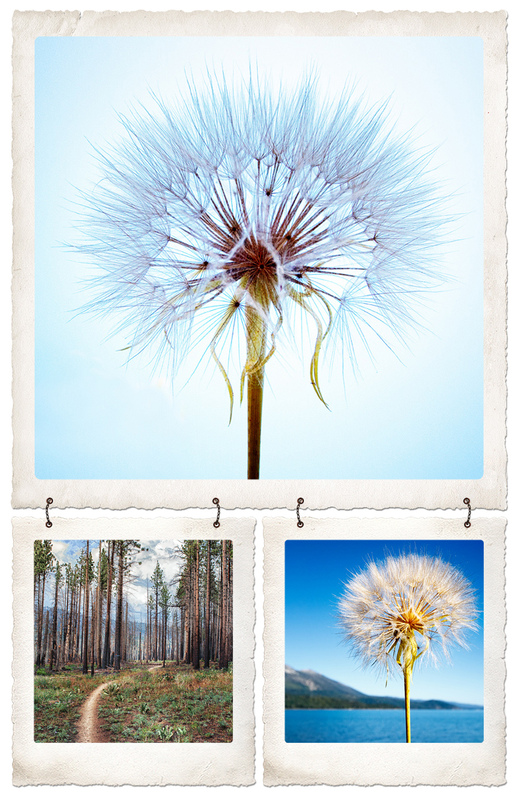 Bonus: pretty pictures of Lake Tahoe and flowers. So keep reading. 1. FOR THE SAUCE: Bring all ingredients to simmer in small saucepan over medium heat; cook, stirring occasionally, until sauce reaches ketchuplike consistency and is reduced to about 1 cup, 5 to 7 minutes. Transfer ½ cup sauce to small bowl and set aside to serve with cooked chops. 2. FOR THE CHOPS: Light large chimney starter filled with charcoal (6 quarts, about 100 briquettes) and allow to burn until coals are fully ignited and partially covered with thin layer of ash, about 20 minutes. Place aluminum cake pan in center of grill. Empty coals into grill, creating equal-sized piles on each side of pan. Sprinkle 1 cup soaked wood chips on each charcoal pile, position cooking grate over coals, cover grill, and heat until grate is hot and chips are smoking, about 5 minutes. Scrape grate clean with grill brush. 3. While grill is heating, pat chops dry with paper towels. Using sharp knife, cut 2 slits about 1 inch apart through outer layer of fat and connective tissue to prevent buckling. Sprinkle entire surface of each chop with 1 teaspoon salt and ½ teaspoon pepper. Place chops side by side, facing in same direction, on cutting board with curved rib bone facing down. Pass 2 skewers through loin muscle of each chop, close to bone, about 1 inch from each end. Once chops have been threaded onto skewers, pull apart to create 1-inch space between each. 4. Place skewered chops, bone-side down, in center of grill on cooking grate, over aluminum pan. 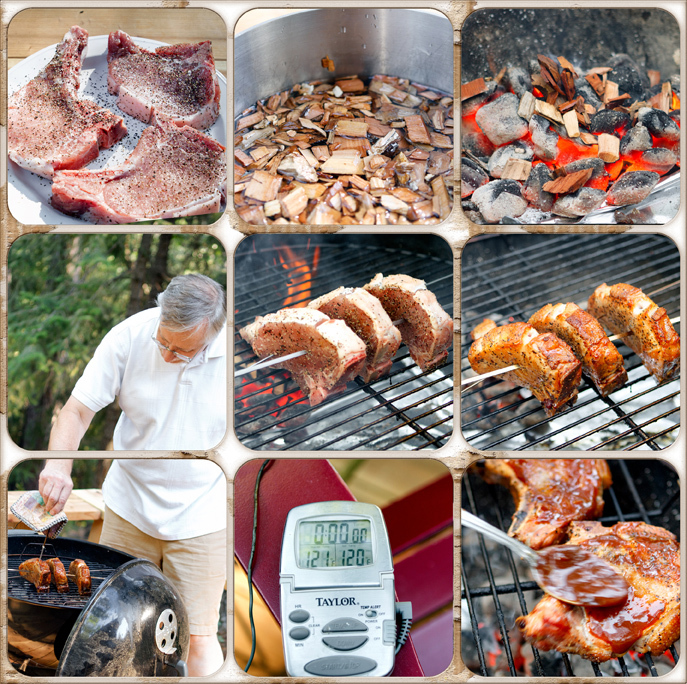 Cover grill and cook until instant-read thermometer inserted into center of pork chop, but away from any bone, registers 120 degrees, 28 to 32 minutes. 5. Remove skewers from chops; tip chops onto flat side and brush surface with 1 tablespoon sauce. Transfer chops, sauce-side down, to hotter part of grill and cook, uncovered, until browned, 4 to 7 minutes per side. Brush top of each chop with 1 tablespoon sauce; flip and continue to cook on second side until browned and instant-read thermometer inserted into center of pork chop, but away from any bone, registers 140 to 145 degrees, 2 to 4 minutes longer. Remove chops from grill and allow to rest, tented with foil, 5 minutes. Serve, passing ½ cup reserved sauce separately. 1. BUILD SPLIT FIRE Place aluminum pan between two mounds of coals to create cooler center flanked by two hot areas. 2. SKEWER CHOPS Pass two skewers through loin muscle of each chop to provide stability when standing on grill. 3. STAND ON GRILL Stand skewered chops, bone-side down on cooking grate, in center of grill so smoke can reach all sides. 4. SAUCE & SEAR Brush chops with sauce and transfer to hot sides of grill to sear on both sides (brushing top of each chop again before flipping). So, okay, okay, he convinced me. And everything was peace and happiness. The birds came out. The flowers bloomed. It was pure Disney happiness. But this was not good enough for Yes!Chef! He went a step further and several nights later, he cooked pork chops a second way. This time it was kind of a surprise for me. I didn’t know that he had a hidden stash of pork chops. This recipe was much more simple, but again, it turned out moist, juicy and the crust was a bonus. 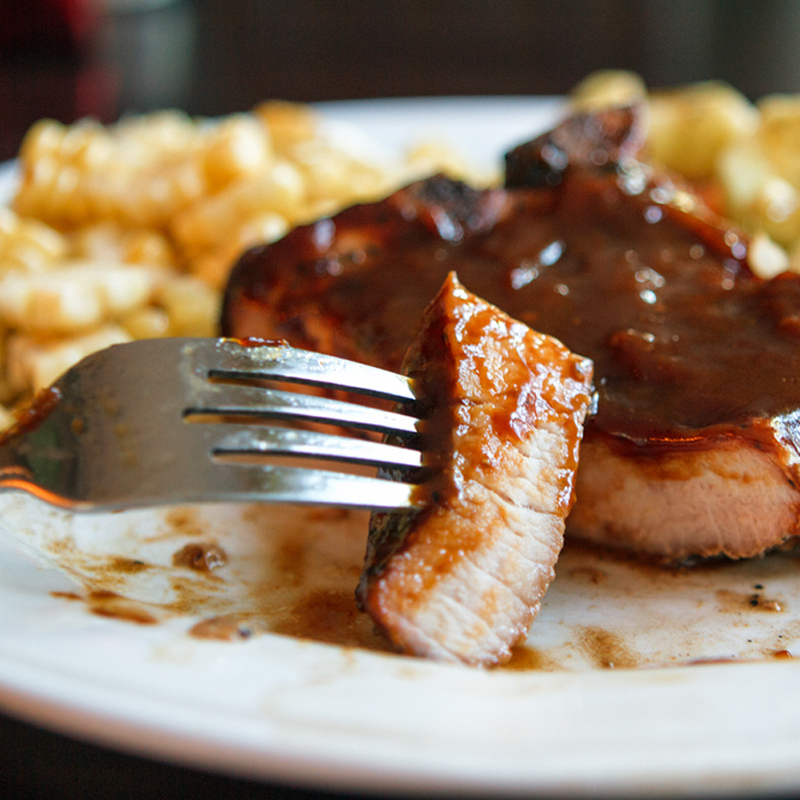 These pork chops were made in an iron skillet on the stove top and finished in the oven. The recipe calls for the chops to be done entirely on the top of the stove, but Yes!Chef! prefers to finish his meat in a high temperature oven in the iron skillet (next to his Weber, it’s his favorite cooking utensil.) He cooked the meat as indicated in the recipe until it came time to flip the chop. Then, he flipped it and stuck it in a 400 degree oven to finish. He also substituted Panko for the Italian bread crumbs which gave the crust an extra crunch. And, we did not use the lemon wedges. Whisk the eggs in a pie plate to blend. Place the bread crumbs in another pie plate. Place the cheese in a third pie plate. Sprinkle the pork chops generously with salt and pepper. Coat the chops completely with the cheese, patting to adhere. Dip the chops into the eggs, then coat completely with the bread crumbs, patting to adhere. Heat 3 tablespoons of oil in a very large skillet over medium heat. Add pork chops, in batches if necessary, and cook until golden brown and the center reaches 150 degrees, about 6 minutes per side. Transfer the chops to plates and serve with lemon wedges. I think I liked these pork chops better than the smoky ones, but it was very close. I mean…you can see the crusty goodness and the juiciness of the chop. Most delicious. Go ahead and lick the screen. I did. I have become a pork lover! Happiness! Birds Singing. Flowers Blooming. As an aside, the above photos of flowers and the ones of the dandelions, forest trails and lakes were all taken at Lake Tahoe in the last several days. 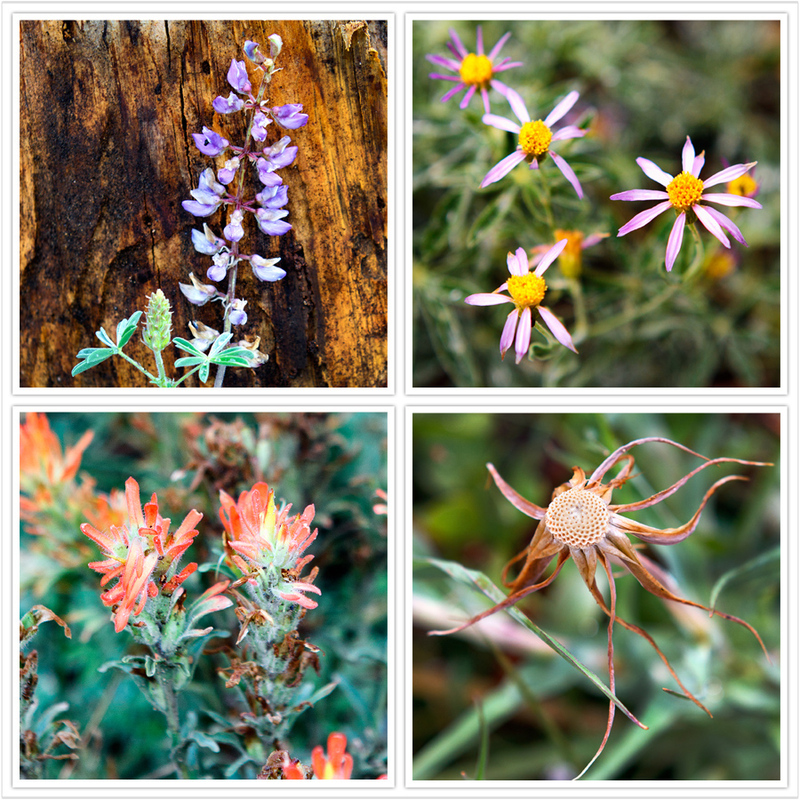 Tourist note: Wildflowers are abundant in the Lake Tahoe basin right now. So…get your cameras out if you are planning on visiting the area. Also, July is one of the busiest months for tourists. So make sure you call ahead to a hotel or campground. (Try Camp Richardson on the south end of the lake if you are unfamiliar with the area.) But, the flowers are gorgeous. The weather is great. And it is a beautiful area to vacation. I try to be in Tahoe as much as possible. If you see a woman walking along the beach or forest trail with a Canon camera, stopping every few yards to take a picture, and an adorable albeit mature black dog sitting patiently waiting for me to finish my picture taking, it might be me. Stop and tell me that you’ve tried some of Yes!Chef!’s recipes. It will make my day. ← Cool Watermelon Mojitos and Spicy-Sweet Glazed Shrimp on the Bar-B; or It’s time to celebrate again! I really do like Pork and especially chops. These sound challenging but so delicious. You are so fortunate to have your very own Chef!! I am very fortunate. Makes dieting a challenge. The smoked pork probably was the most challenging. The other one was a piece of…pork! Ha! 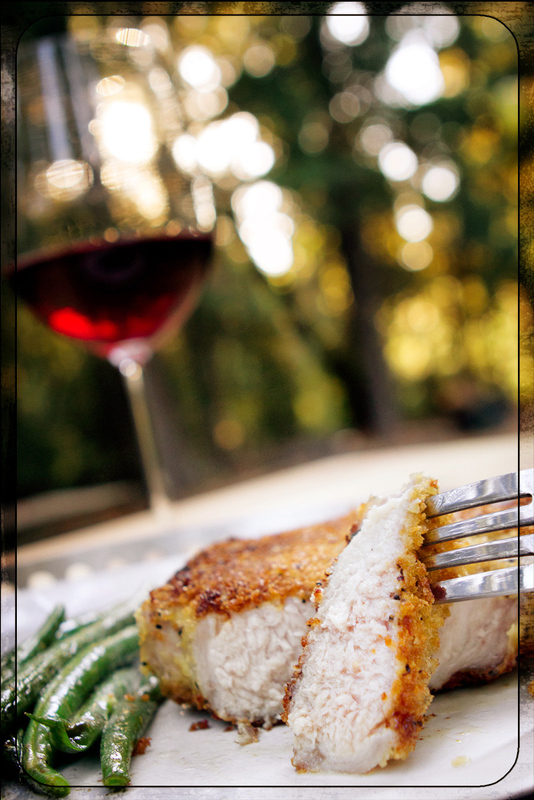 We love pork chops and pork tenderloin!! I’m going to give the second recipe a shot, looks delicious! I don’t think I would tackle the first recipe either. But the second one was so easy and it was very, very good. I don’t know which recipe to try first! Let me know if you liked them. Cooks Illustrated is one of my most frequently used resources. I love the website and have most of the cookbooks. Great post BTW. You really raise the bar for all of us bloggers. Whoa! thanks, Chef. Corby (Y!C!) really likes Cooks because he’s a nerd and he loves all the detail. Kim Marie and I had an amazing time with you Sunday night. Thank you for your hospitality and that delicious meal! We love Aly and are blessed to see Brian connecting with such a wonderful family! Oh! That brought tears to my eyes. I am so amazed by the wonderful relationship between Brian and Aly. You have raised a truly wonderful young man and we all love him very much. I can see where he gets his great sense of humor and his manners. We so much enjoyed meeting you and Kim. We can’t wait to get together again. Cheers to our new friends!